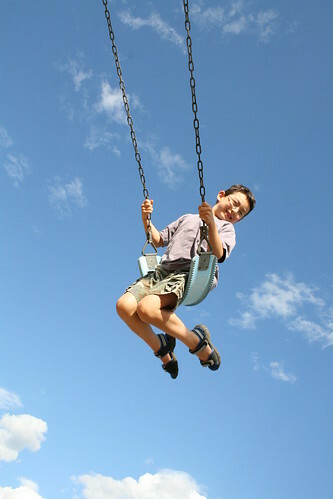 I went to the archives this week and pulled some shots of Adam on the playground being up high. he swings high in the sky, thanks for stopping by. Now, this is one of the best ones yet!! 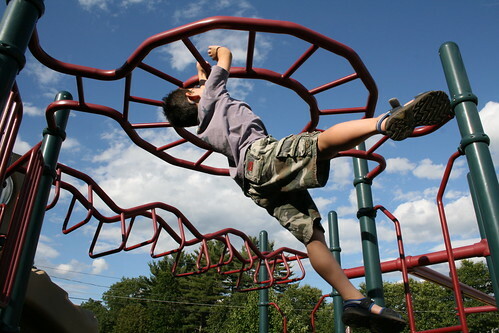 I remember loving swinging and climbing high when I was a kid. Great shots! I like the first one a lot. Did you have difficulty timing the shot? The second one I felt a little scared and I'm not even his mom! I love the first shot and he looks like Spiderman in the second! Now I'll be humming that song all day, lol. Adam looks like a great climber! And looks like he has fun with it too. Have a good week.